After joining the party, she said: "I have formally joined the BJP; I will contest the elections and will win. We will fight against those who are conspiring against the nation. We will work together against those people to save our nation." 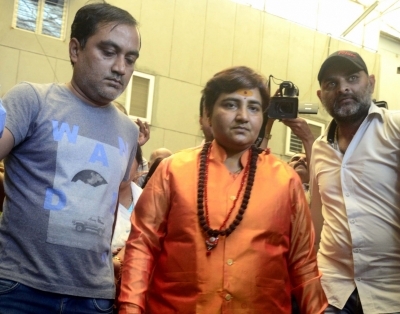 Sadhvi Pragya, along with Lt Colonel Prasad Shrikant Purohit, was charged in the Malegaon blasts that killed seven people and injured 80 others in a Muslim locality in Maharashtra in September 2008. She spent nine years in jail in connection with the case and is presently out on bail.